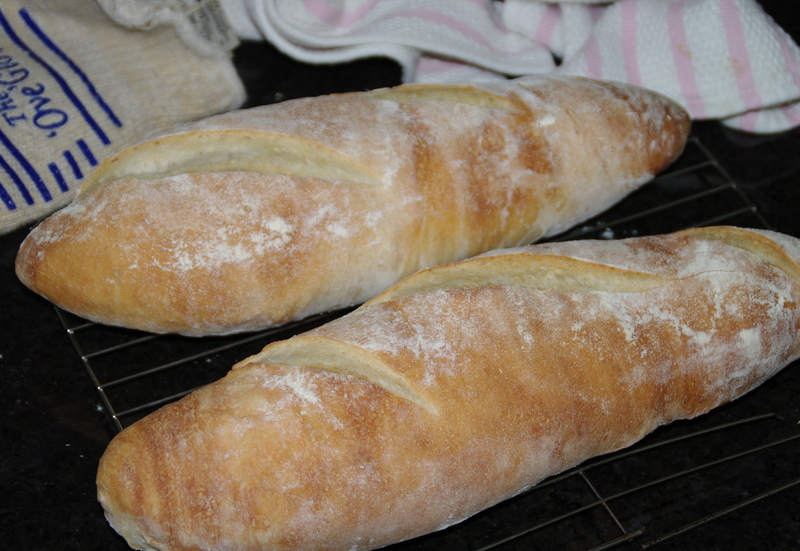 for many reasons i have the best of partners, today though, it is because of the bread he bakes! for years now we have made home baked bread from scratch (we don’t grind the flour:) and now that retirement has arrived it is the only bread we eat. he makes several styles including: white, whole wheat, rye (with caraway seed) a baguette (next best to being in france), buns of all kinds and today’s edition which is the bestest ever! a country bread, sort-of a sourdough or starter bread that takes a couple of days to make, baked on a stone. well worth the wait, i might add. so today i’m bragging about how good a baker he is, all around chef and full time guru on wining and dining at home. priceless! Julia child is our chef of choice for most good things, including bread. you can find the recipe in her book, baking with julia.